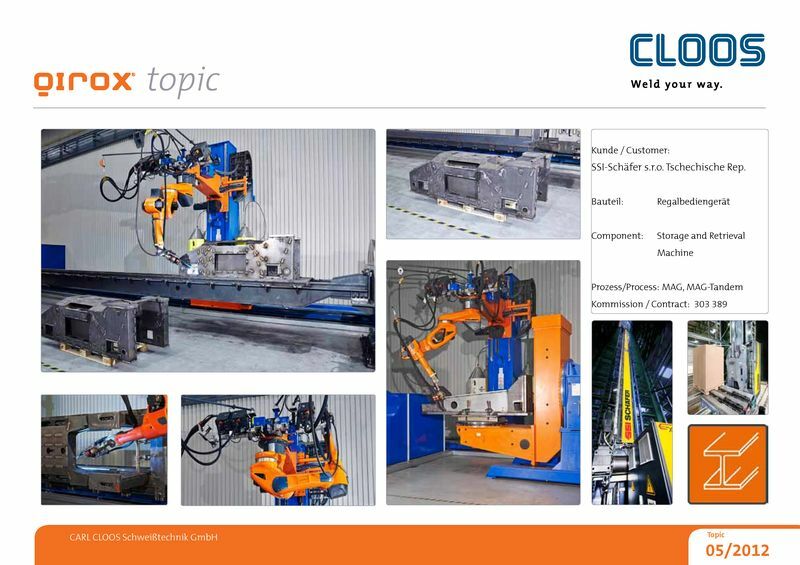 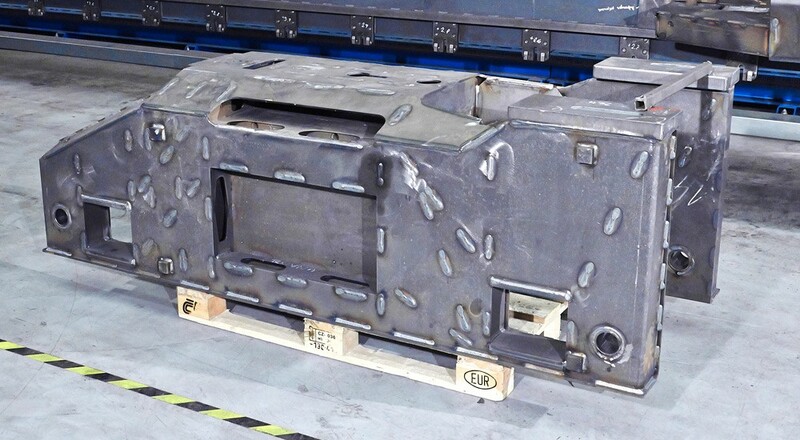 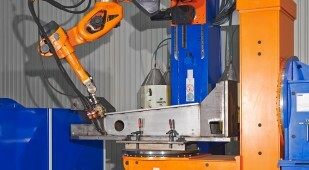 SSI Schäfer commissioned a high performance CLOOS robot welding machine for its complex welded assemblies. The robot, type QRC360E is equipped with a torch changing system and uses 2 welding processes. 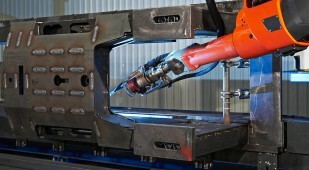 Robot welding is made with the high-capacity Tandem Weld process and the pulsed arc Speed Weld process. 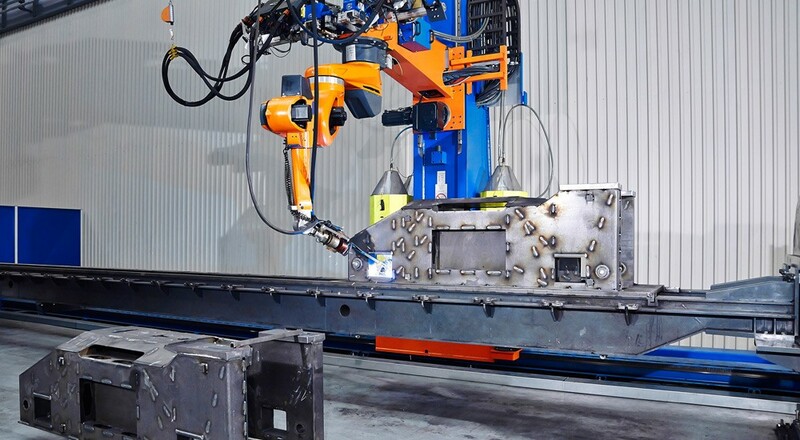 An extended special welding torch and the eccentric axis integrated in the robot mechanics give the robot system the necessary working area and flexibility to weld the complex component perfectly.